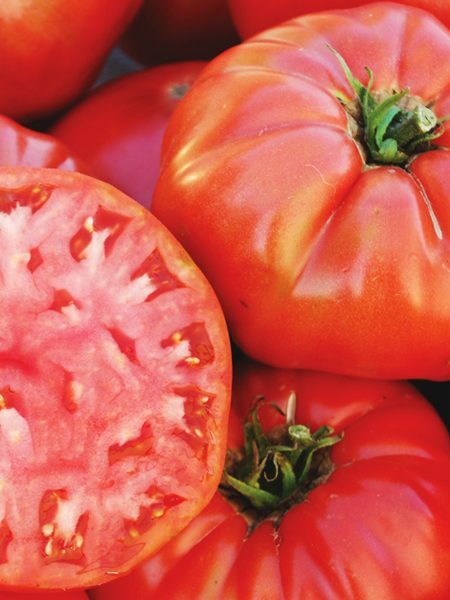 If you like sweet tomatoes, this one is for you. It tied for first in 2017 taste tests, and had a Brix score of 10.0 – highest in the trial. 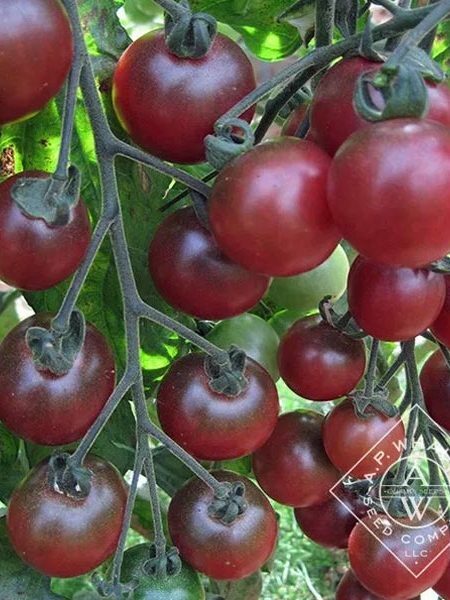 Long skinny sepals on a red elongated, pointed grape-shaped fruit. The fruit has subtle gold striping and deep red flesh. 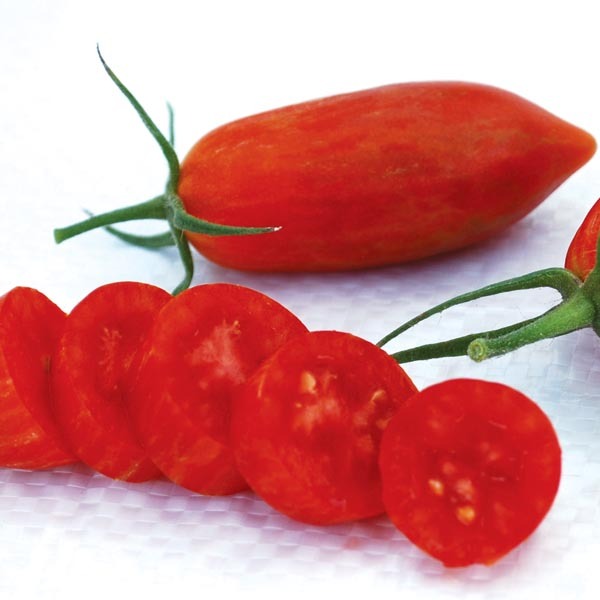 Our guarantee is that this is the one that always gets picked and eaten in the field before reaching the kitchen. It is a kid magnet. Fruiting is early on a compact semi-determinate vine. 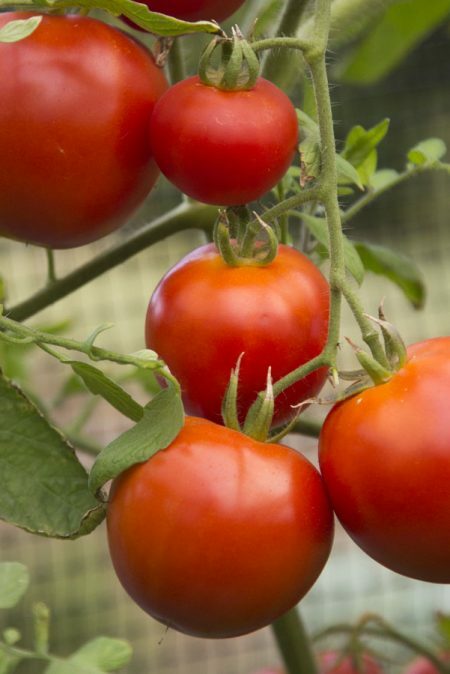 Very good plant health and fruit quality in both open field and greenhouse trials. Fruits measure 1″ across and 3″ long. Indeterminate, 60-70 days from transplant. Photo courtesy of Aaron Whaley (original breeder). 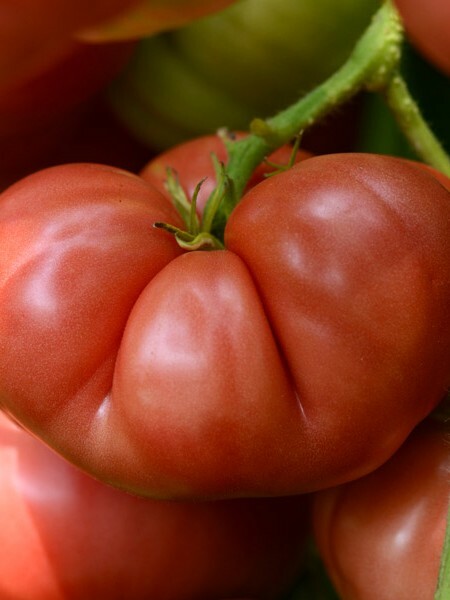 Be the first to review “Tomato ‘Prairie Fire’ Grafted Mighty ’Mato” Click here to cancel reply.